Chiff and Fipple Forums • View topic - What instrument is this? Post subject: Re: What instrument is this? I played for a while for Sikh religious services in Cardiff about 30 years ago. The thing I played is known as a waja. Traditional foot pedal harmoniums (or reed organs) are rather unpopular and therefore easy to acquire, if you're interested and have the space. I was given a beautiful old Estey Reed Organ by an acquaintance who'd also got it as a freebie. It's fun, and you get a workout while you play... In the US, harmoniums were often used in the out-of-the-way churches. The old ones are not useful for communal playing though; mine's tuned to 430hz. I know nothing about harmoniums except what I’ve read in this thread. 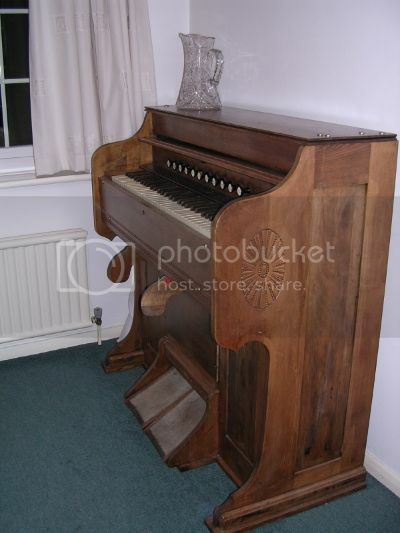 If eBay is any guide, harmoniums seem to be on the upswing. 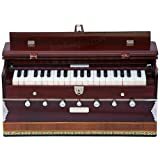 There are pages and pages of new harmoniums on eBay, most in the $300-$500 range and tuned A=440. I have no idea what the quality is.